During the winter months when the weather gets colder, the air also tends to get much drier and can cause a number of problems. Not only is the dry air bad for your home, but it has the potential to chap your lips, cause dry skin, nose bleeds and other cold weather conditions. In some severe cases, dry air has also been known to cause snoring problems. If your partner is starting to get on your nerves at night, or you just want something to add a little more humidity to your air, then a warm mist humidifier is a great option for you. If you’re like the rest of the population, you’ve probably been told that you need a humidifier in your home, or maybe you already have one and you aren’t entirely what the point of it is. Along with the reasons listed above, a humidifier will emit water vapor into the air of your house to increase humidity levels. 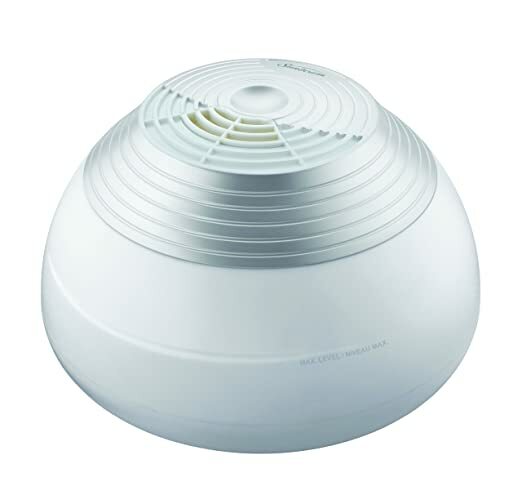 In general, humidifiers are used during the winter months, and dehumidifiers are used during the warmer ones. 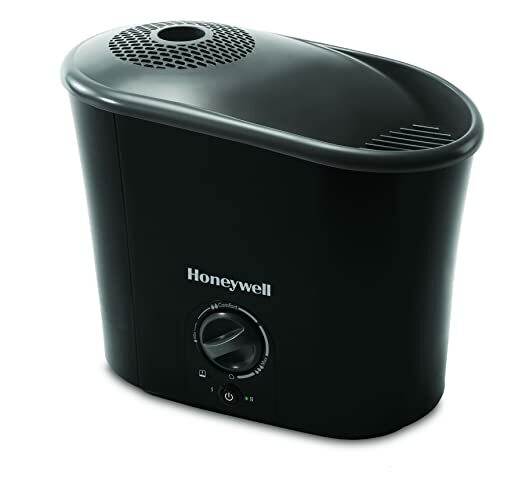 One of the main points of this article is to help you choose a warm mist humidifier. You can purchase cool mist or warm mist humidifiers, but since they are used during the colder winter months, warm mist is a great option. This means that the vapor that is being released from the humidifier is warm and will contribute to the air temperature in the room. It definitely won’t be able to make any significant changes, but it can contribute to a couple degrees more, and every bit helps when it’s freezing. Vicks is a household name that nearly everyone has heard about. Although you may remember it in the context of some less than fond memories when you were sick. In the past, Vicks was what you mother rubbed on your chest to help you breathe when you were ill as a child. While this Vicks product also has features that fit in the context of breathing, this does not release any unpleasant scents and will also not require you to smear it on yourself. Specially designed for cold and flu symptom relief, Vicks is once again useful for helping you get over a variety of sicknesses. This model in particular has a slew of wonderful features that are sure to keep you nice and cozy as well as do what it needs to do for your house. The simple design will not take up too much room in your home, and is also looks great just about wherever you put it. It has a one-gallon capacity which may sound like it is a lot, but that does not mean that it will take up an excess amount of room in your home. One gallon will last approximately 12 hours on a continuous loop. The tank attached to the humidifier is translucent so you know when it’s time to fill it up as well. Finally, a convenient carrying handle comes with this model too. This humidifier will boil the water inside of it and the water vapor will kill up to 96% of the bacteria from the air. The water vapor mixes with the dry air in the cooling chamber to release the warm moist air into the room. While you can choose to have the menthol scent you were used to as a kid, it does have an integrated scent pad heater that you can use with the Vicks VapoPads. You can purchase the pads pretty much anywhere you can think of online and they come in a variety of different scents you can choose from. In addition to the pads, you can purchase Kaz Inhalant which mixes with the steam to produce additional soothing scents. Some of the available scents include lavender, rosemary and eucalyptus aromas. It operates very quietly and will not disturb any children or emit annoying noises at any point. This means it would be great for a child’s room as it will also give off a soft glowing nightlight to help them sleep soundly. If you choose to purchase this model from Amazon, please keep in mind that it is important to clean it regularly or calcium build up could affect its productivity. It does not require a filer, but due to this, if you begin to see an orange build up in the heating chamber, that is an indication that it is time to thoroughly clean it. In order to clean the product, simply unplug the humidifier and a pour a generous amount of undiluted vinegar into the empty water chamber. Rinse and repeat as many times as necessary to thoroughly clean the chamber. This should be done about once a week or so, as this is a common occurrence with all humidifiers. There are also some removable parts on the machine that you can put into the dishwasher for easy cleaning. Complete with an auto off feature so you can leave it running through the night, it also has high and low settings to meet your needs. This model has a three-year warranty attached to it so if you are unhappy with it for any reason, you can return it for a complete refund. The second model in our review is a bit more of a neutral color than the previous model. Clad in a variety of grays, this will also manage to hide anywhere you want to put it in your house. Since this is a smaller model, it is specifically designed for small rooms. You can put this in a child’s bedroom or any of the other rooms in your home that take up a smaller space. When purchasing a humidifier that is too large for a small room, it can actually cause the temperature to rise too much and cause other humidity issues. Your home will feel the most comfortable to you with humidity levels between 30-50%. A 50% humidity level can be approximated to a sponge being half full. It also means that the air in your home is about 50% moisture. This is the moisture that will prevent health issues and keep your home in great condition. All in all, this goes to say that if you have a whole house humidifier in a small room, you can easily overdo it with the humidity. If you have too much humidity, it can contribute to mold problems. This will also lead to problems for those who have allergies and asthmatic conditions. Since this is a small room humidifier, you won’t run into this problem as it is the perfect size to keep an ideal humidity level in your home. This item my look smaller than the previous model, as well as handle smaller rooms, but it has a 2.3-gallon capacity which is a little bit over double the amount the Vicks model held. However, keep in mind that it has an approximately 24-hour running time per tank filling. As with the Vicks model, this also has a translucent tank so you know when it needs to be refilled. Also, the entire tank itself can be removed for easy and simple refilling. This model comes with two different speeds so you can choose whether to have it running on high for when your home has low humidity, or low when you are beginning to near an ideal humidity level. Also similar to the previous model, this humidifier is filter free. Again, this has its advantages and its disadvantages as you will not have to remember to change any filters or purchase new ones. However, this does mean that it needs regular cleaning so that calcium deposits don’t build up and cause issues with the humidifier. It is still highly recommended to pour vinegar into the tank and let it sit, but this model also has the option to throw some of the parts into the dishwasher for easy cleaning. With many different promising features, this Holmes model is equipped with a unique antimicrobial protection to lend a bit of an extra healing hand to your family. There is an antimicrobial material built into the plastic of the machine to prevent any growth of bacteria or mold that may cause stains, odors or affect its performance in a negative way. True to its name, this product is easy to care for and even easier to use. There are once again certain parts that are removable so you can throw them in the dishwasher for easy and convenient cleaning. These parts include the float, mist dome, mist chimney and the top cover. So far, this is the most simplistic version of a humidifier in this review yet, but that does not mean it has sacrificed any quality. If you were impressed with the removable tank some of the other options had, unfortunately this may not be the one for you. The tank is not removable, but it is however equipped with an easy top-fill direct pour-in design to eliminate spills or drips. On the flip side, this may be even more convenient for some who did not feel comfortable carrying a large tank of water across your house. With this, you can take small trips to and from the humidifier to fill it up. Additionally, if you tend to be a proactive person, you can easily walk by with a cup of water and dump a little bit in whenever you are near the machine. Then you won’t have to refill it in its entirety all the time. Although if you do forget, there is a refill light that will pop on automatically whenever it needs more water. Since this is a warm mist humidifier, the warm mist technology is 95% bacteria free. When it disperses the mist, it will not contribute to the spread of allergens in your house, or trigger allergic reactions or sensitivity due to the heat. 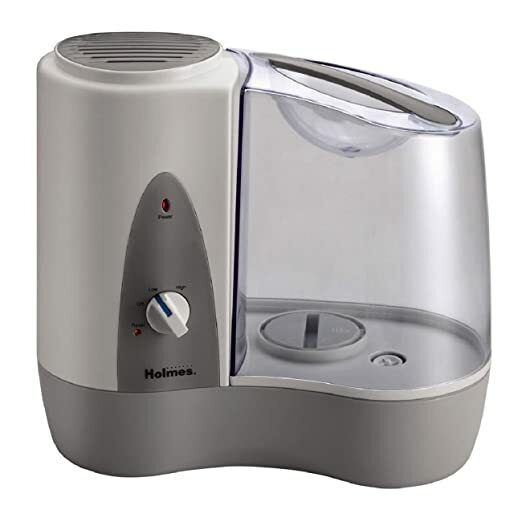 You can also choose how much mist you want the humidifier to disperse. There is a built-in mechanically adjustable humidistat dial for easy control. Simply turn the dial to the level of mist you want it to produce, then you can walk away and let it do its job. There are three different levels that include, minimum, comfort, and max. 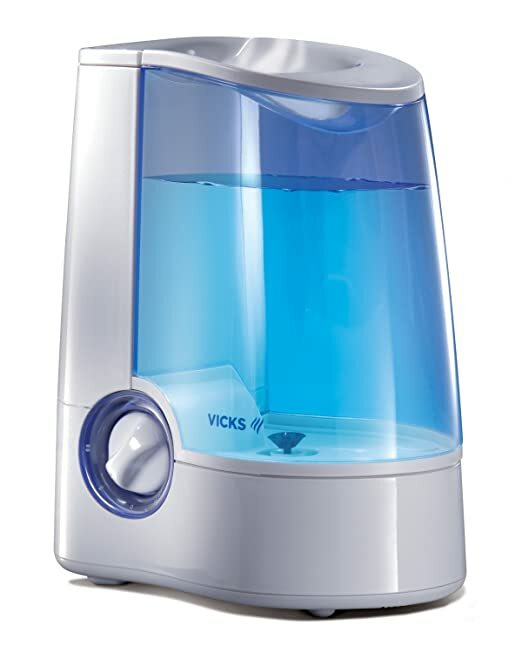 As with the Vicks humidifier, this also has the option to be paired with an inhalant in order to disperse a wide variety of scents throughout your home, or a single room. Since this is not a Vicks name brand machine, you cannot use the Vicks Vapo Packs with it. You can however, use the Kaz packs which come in a variety of different scents as described above. Auto shut off on this machine will prevent it from constantly running if you are not home to turn it off. So far, this is the first machine in this list that offers this feature. This is a great option if you tend to be forgetful with turning off your humidifier. All you have to do is set your dial humidity level and this will automatically turn off once it hit your preference. This is also a wonderful option as you will not have to monitor the levels of humidity in your house while the machine is on. Humidity sensors can be expensive, and since this one has a built-in option, you never have to worry about constant monitoring again. This is considered to be a medium-sized machine, but is ideal for large rooms. If you have a bigger house in general, or perhaps you want to humidify one specifically large room in your house then this is a great option. Keep in mind that it is also ultra-quiet it could be wonderful in places such as a sleeping child’s room. Last but not least on our list is the Sunbeam humidifier. Another common household name you have probably heard of before, this product is a budget-friendly option that is sure to please. This design is quite a bit simpler than what we have seen on this list so far, and instead of having a boxier look that is easily identified as an air humidifier, this instead comes as a teardrop shaped design. It has a total tank capacity of approximately 1.03 gallons, and ranks second as one of the smallest humidifiers on this list. Never fear though, don’t mistake its small size as a weakness. This Sunbeam model has up to a 28 hour long run time, making it the longest lasting humidifier on this review. The tank may be on the smaller side, but it uses the moisture wisely so you have longer between refill periods. Since this machine has a smaller tank, it is removable for easy cleaning and refilling. As with other products with larger tanks is can be tedious and heavy to carry a tank with water back and forth. However due to its smaller size, this will make your refills much easier. This filter-free model does not require you to keep filters handy for whenever you want to clean it. Simply use vinegar to clean it out every so often and you’re all good to go. Interestingly enough, there is a long lasting stainless steel column of electrodes near the seam output to make cleaning easier, as well as to prevent significant calcium build up. This also features an auto-off feature for when the water level falls below the electrodes on the seam output. This means you can feel free to fill it up and walk away without fear of it constantly running and pulling electricity when it is no longer releasing humidity into the air. Again, with prior models you can use a medicine tray with this to disperse pleasing scents throughout your house while skipping the use of a risky candle. Treated so it is antimicrobial will also prevent the machine from harboring an unwanted bacteria or hidden allergens that might want to find a home inside of it. Ideal for use in small spaces, keep in mind that this may not be your best option if you are looking for something to use that will control the humidity in a rather large space. This would be perfect for small rooms and bedrooms. Our lives are incredibly hectic. We tend to run from one thing to another, all while juggling work, friends, family, children, and hundreds of other responsibilities we need to tend to in our daily lives. Sometimes remembering to turn the humidifier off before running Johnathan to his soccer practice is not the first thing on our minds, and quite frankly it shouldn’t be. Some of the models listed above have auto-off features so you don’t have to worry about if you do forget to turn it off. Gone are the days of relaxing and watching your child kick around a ball, then suddenly hopping up with the realization that you left something in the house on. If this craziness sounds anything like your life, it may be in your best interest to search for a model above that has an auto-off feature to give you one less thing to worry about. Sometimes simplicity is goes a lot farther than you would think. This one goes without saying, but staying on budget can be tricky, but is also very necessary. Humidifiers are incredibly important to have around in the winter, and especially if you are a homeowner or suffer from dry skin and allergies, this can definitely be a life saver. However, a good humidifier should not have to break your bank, or cause you to forgo any other purchases you needed to make this month. If you really want to splurge on a humidifier, then there are ones in this list here for you. However, if you want a clean simple machine that will do exactly what it made for, then there is also something in here for you. It all just depends on what your budget is. Do you really enjoy having scented mist? A majority of the machines listed above give you the option to use a scented mist to add a little something extra to your home. Plus this is a wonderful alternative to the traditional candle or scented plug in that have been used in the past. Both of those have fire hazard concerns, and especially so if you have younger children that run around without thinking about what they may bump into. On the flip side, if you’re not big fan of the whole scented oil thing, you don’t have to worry about choosing one of the above with this option. Though it is important to keep in mind that while it may have an inhalant tray inside, this does not mean that you have to fill it up. Each of these models will work perfectly fine without being filled up with scented oils. How big is your home or room? Remember that teeny tiny first apartment you ever had when you went to college? That one where you were able to fit three people into a one bedroom and you still didn’t want to kill each other? If you have spaces like these, a smaller model that is used for small spaces would be great for your apartment. It is possible to over-humidify a room, and this can have as may drawbacks as advantages when it comes to a humidifier. However, if you live in a spacious house with large rooms it is wise to purchase one of the models above that is made for dispersing humidity through larger rooms. Each one of the models listed in this review would be a wonderful addition to your home for a wide variety of reasons. From home concerns, to winter ailments, to allergies and the quality of your sleep, a humidifier is a great item to have hanging around your house. Once you have reviewed the above pre-purchase considerations, you will know exactly which one fits the best in your house, as well as what qualities are most important to you.